Mercedes Helnwein – “Queen of Spades” (2011), oil pastel on paper. 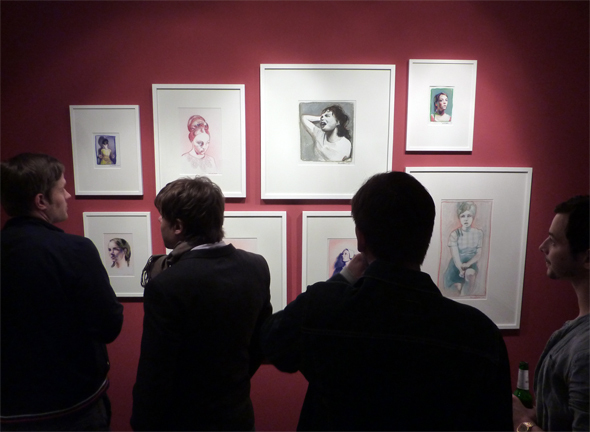 Last night was the opening of Temptation To Be Good, works by Mercedes Helnwein at pool gallery in Berlin. The powerfully evocative exhibition offered a beautiful start to gallery weekend. Including a number of captivating pastel portraits and a video in which these characters come to life (with music by her brother, Ali Helnwein), the artist’s third solo-exhibition at pool gallery is a must-see. “The period between Helnwein’s previous solo-exhibitions at pool gallery and Temptation To Be Good has given rise to marked and significant developments in her technique. Having primarily worked in pencil on paper, Helnwein suddenly began experimenting with oil pastel on paper, creating larger-than-life busts that allow for pseudo-impressionistic exploration in color and abstraction within the human form. 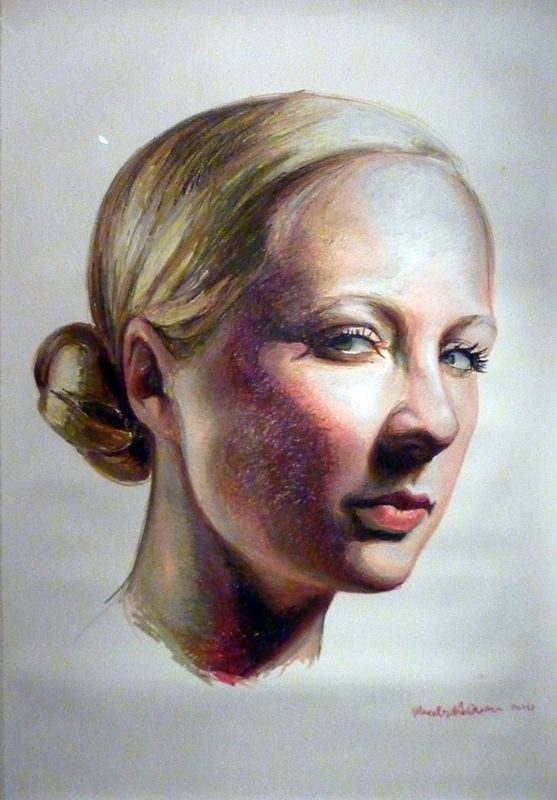 Shortly after beginning work with the oil pastels, influence on her pencil works began to manifest, altering her usually hyper-photorealistic style. Exactingly guided sleights of hand now reveal references to motions both about to come and that have come to pass, the gentle abstraction and experimental use of color further embellishing the inherent poetry of Helnwein’s work. 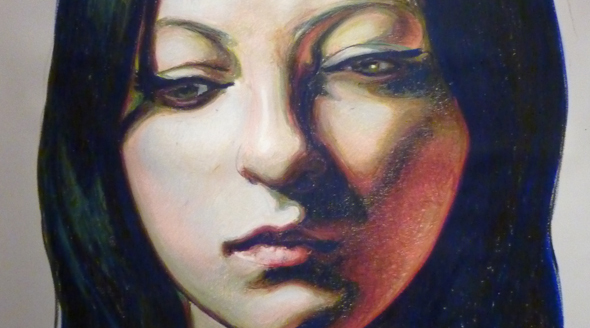 Mercedes Helnwein – Detail of “Kate” (2010), oil pastel on paper. 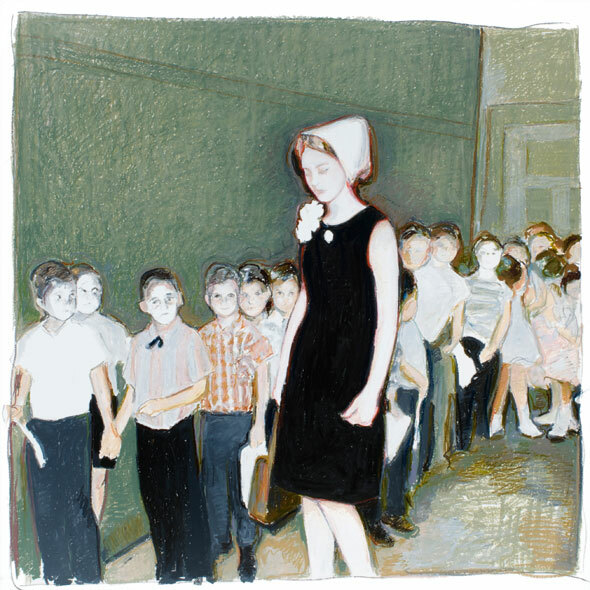 Mercedes Helnwein at pool gallery. Exhibition opening reception at pool gallery. 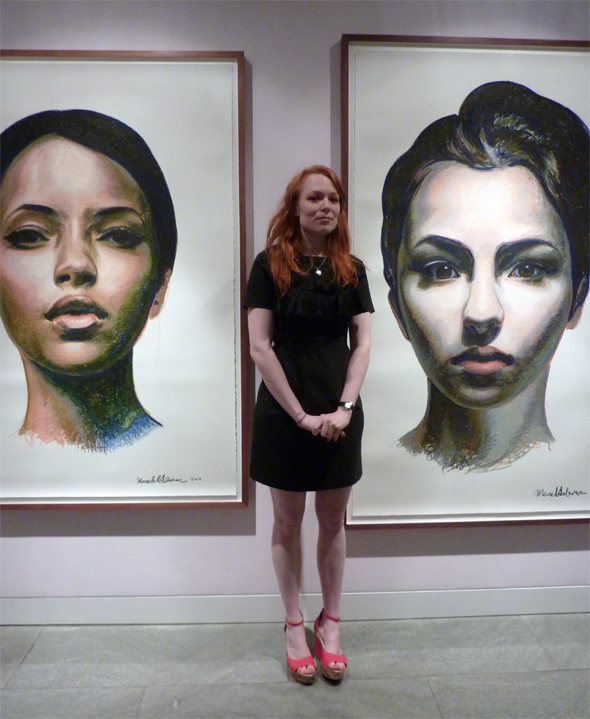 Mercedes Helnwein – “Ellen” (2010), oil pastel on paper. All photographs taken at the exhibition opening reception on April 28, 2011. Blog Entry and Photographs by Clare Ros – in Berlin; Friday, April 29, 2011.